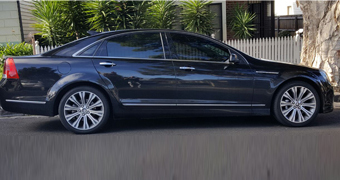 If you need to get to and from Melbourne Airport, Melbourne Silver Luxury Taxis has a transport option for you. As a leading provider of local taxi service in Melbourne, we have been providing airport transfers to our customers across Gisborne and the surrounding suburbs. Whether you want us to pick you up or drop off at the airport, one of our responsible drivers will be at your place at your requested time. We are available 24×7 and can help you with your transportation needs at any time of the day. Do you have any specific purpose to book our Silver Service Taxis other than the above mentioned situations? Not to worry! We can help you out! Whether you need a vehicle for an individual traveler or for a large group, we have got you covered. From compact sedans to luxurious SUVs, we have vehicles in different specifications to choose from. The fleet of vehicles available for airport taxi booking includes high-end models from the world’s leading brands such as Genesis, Jaguar, Audi, Caprice, Lexus, Mercedes, Skoda and Volkswagen to choose from. We prioritise the safety of our customers and that’s why we subject our vehicles to regular inspection and maintenance. Moreover, we will also perform a thorough safety check on your vehicle before being dispatched to our customers. At Melbourne Silver Luxury Taxis, we recommend booking a taxi to airport Melbourne well in advance to avoid the last minute hassles. The reservation can be made either by filling in our online form or by calling us at 0410 934 335.